BEARTREK tells the story of renowned biologist Chris Morgan as he travels across four continents in an effort to save one of the planets rarest animals; bears. BEARTREK is a major motion picture adventure set to be released in 2018. Join Chris as he travels around the world visiting some of the world's harshest and most beautiful locations in an effort to save a species from extinction. Meet the researchers and conservationists in the field working everyday to help these animals. 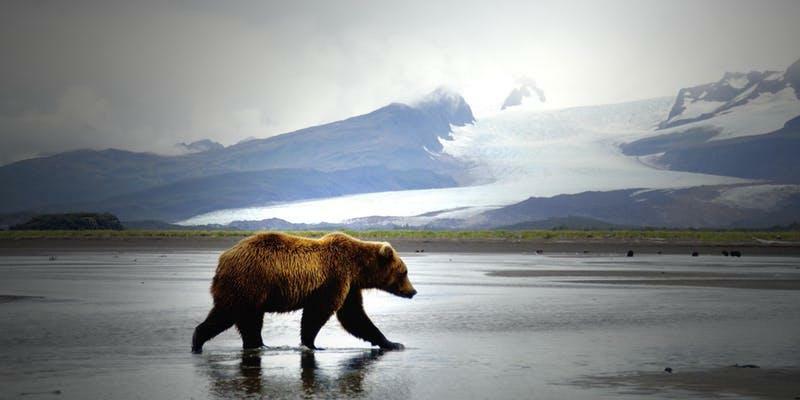 Join the adventure of a life time, join us on BEARTREK. The full feature documentary and conservation campaign proudly premiered at the Santa Barbara International Film Festival in February 2018. And BEARTREK is now available on Amazon Prime in many countries (and the list is growing!). Enjoy the film, and please leave a rating on Amazon to help us spread the word about what we are doing for bears and the wild places we all need. chrismorganwildlife.org Chris Morgan⎪ecologist, conservationist, TV Host, WILD Guide from ChrisMorganWildlife on Vimeo. The European Nature Trust invites you to a celebration of nature, film and conservation! Beartrek is an epic feature documentary which is as much a tale of adventure as a conservation story. It follows renowned bear ecologist and conservationist, Chris Morgan (BBC, PBS, National Geographic), on a journey to find the world’s most elusive and endangered bears. The film spans four continents – from the ice-bound Arctic to the rainforests of Borneo and the Andes deserts of Peru – and delivers a powerful message about the fate facing these amazing creatures. All proceeds from the event will be used to help protect the endangered Marsican brown bear of Abruzzo, Italy - only 50 individual bears remain in an extraordinarily isolated population. 6PM - Drinks Reception - Champagne & cocktails - Food carts & canapés - Live music & entertainment!